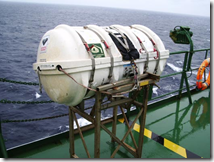 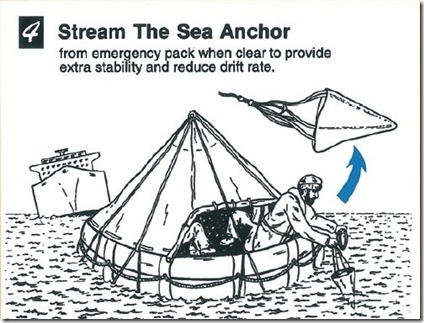 Life Boats and Liferafts are provided in ships as a means of life saving in case of emergency. 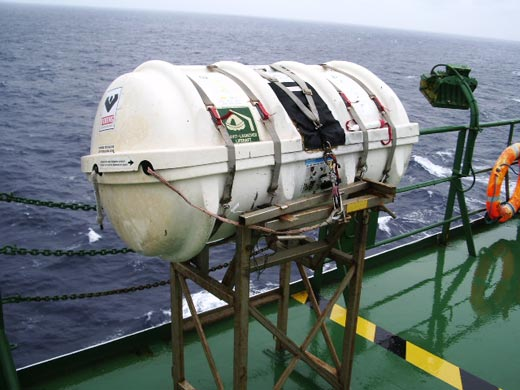 The number of lifeboats and liferafts provided is calculated on the basis of carrying capacity of these life saving appliances and the number of ships crew. 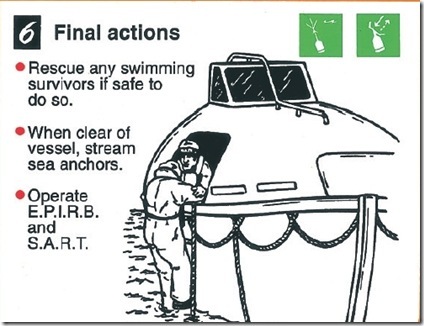 The life saving appliances are to be surveyed periodically as per the regulations to ensure seaworthiness. 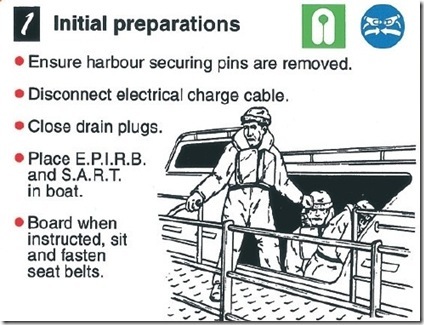 Safety awareness posters on procedures to launch life boats and liferafts are prominently displayed in ships. 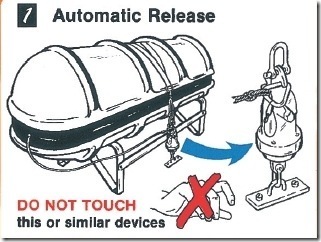 Easy access/approach to these appliances is necessary to use these life saving appliances without any time delay. 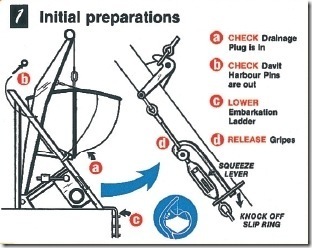 Drills on using life saving appliances are to be conducted periodically to ensure ships crew are confident to use these appliances in case of emergency. 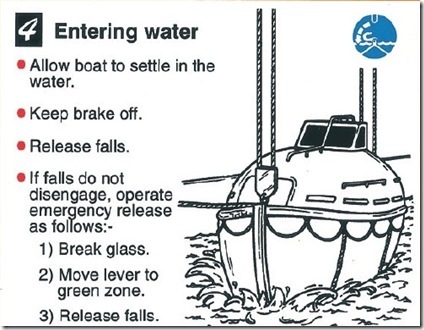 1.Six easy steps to launch an open life boat are given below which are self explanatory. 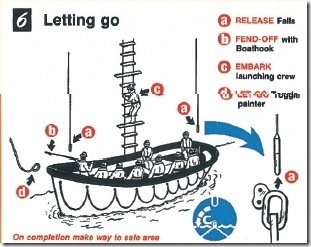 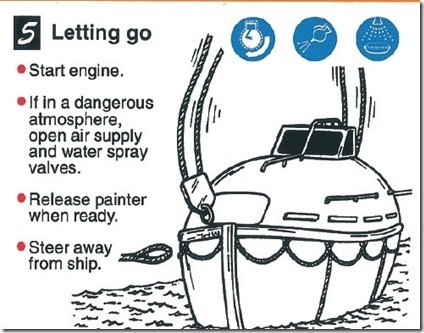 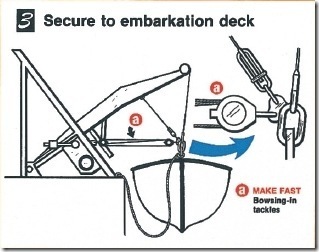 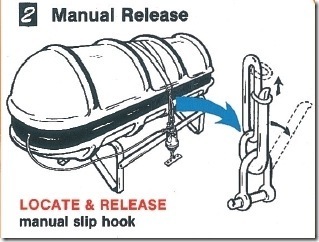 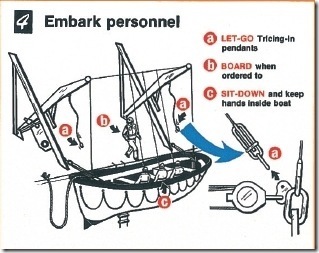 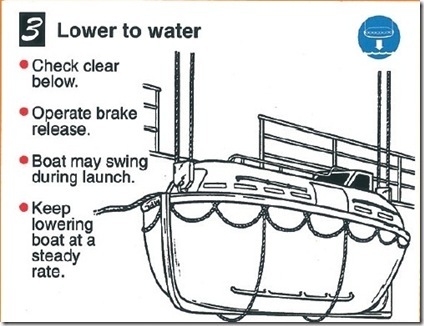 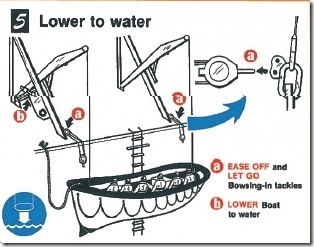 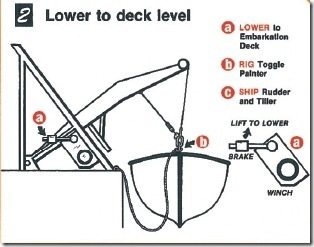 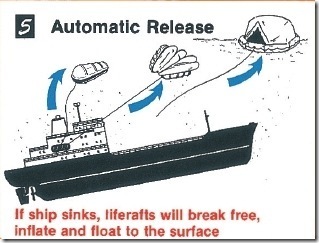 2.Six easy steps to launch a enclosed life boat are given below which are self explanatory. 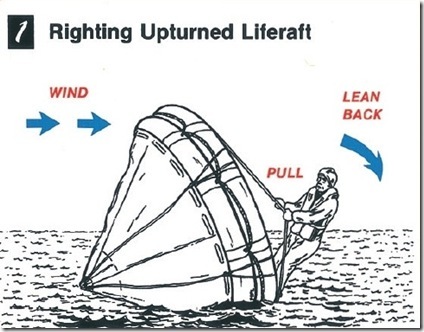 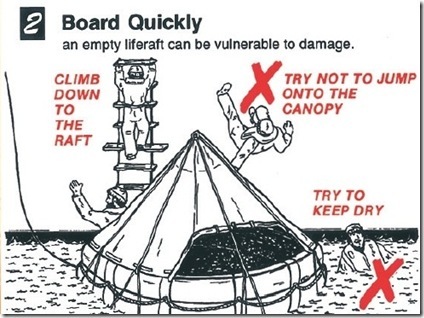 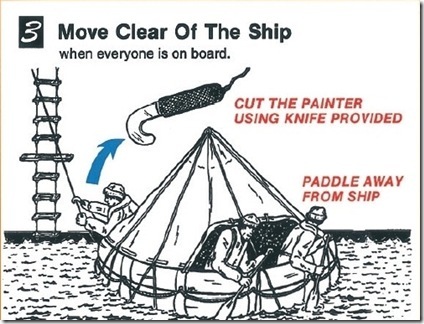 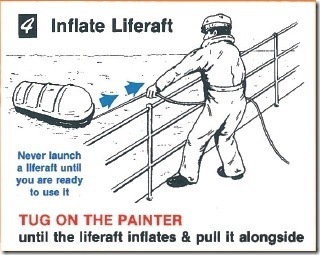 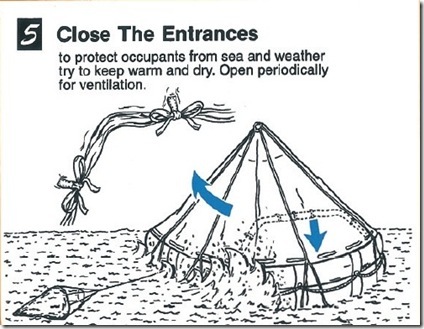 3.Five easy steps to launch a liferaft are given below which are self explanatory. 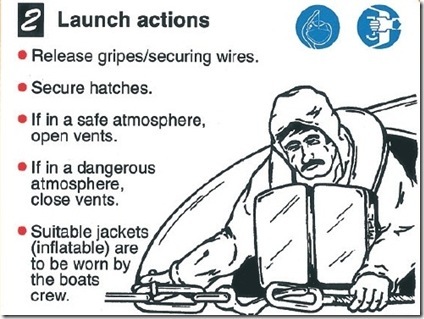 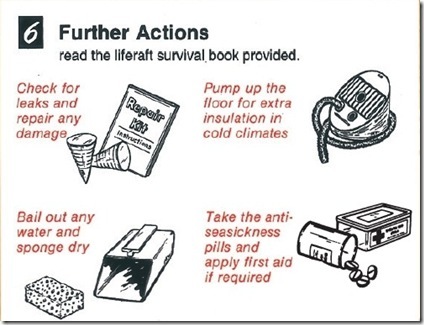 4.Six important activities required after launching liferaft. 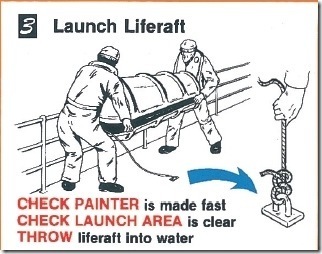 OldSailor feels life safety drills are necessary on life saving appliances to save the ships crew in case of any emergency. 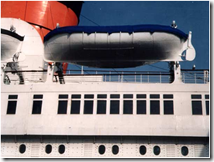 this is a good web site, infact in help me to prepare many procedure in our navigation company.